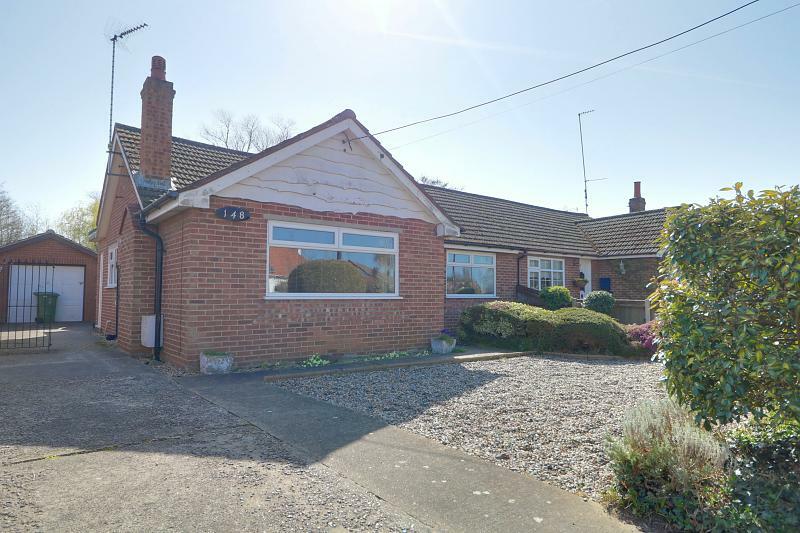 A spacious well maintained and extended semi-detached bungalow pleasantly situated on this popular South Lowestoft road being within walking distance of all amenities including nearby shops and bus routes. 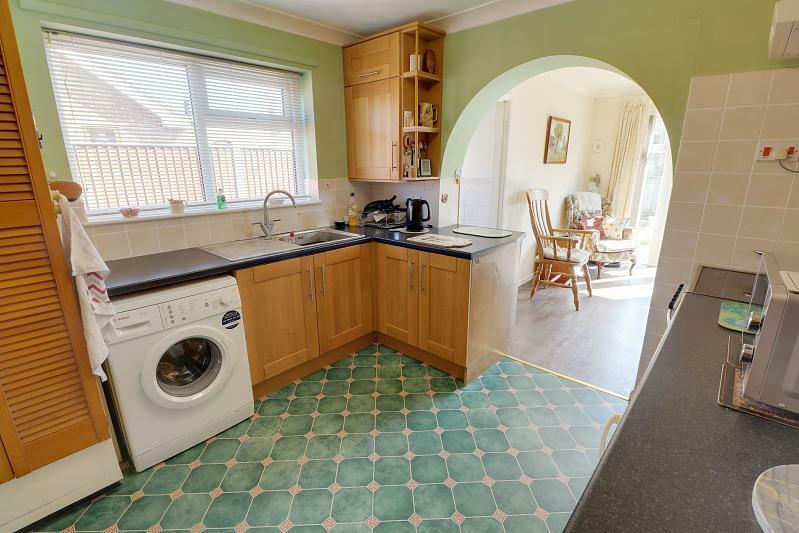 The property is offered with gas fired central heating, sealed unit double glazing and all fitted floor coverings. 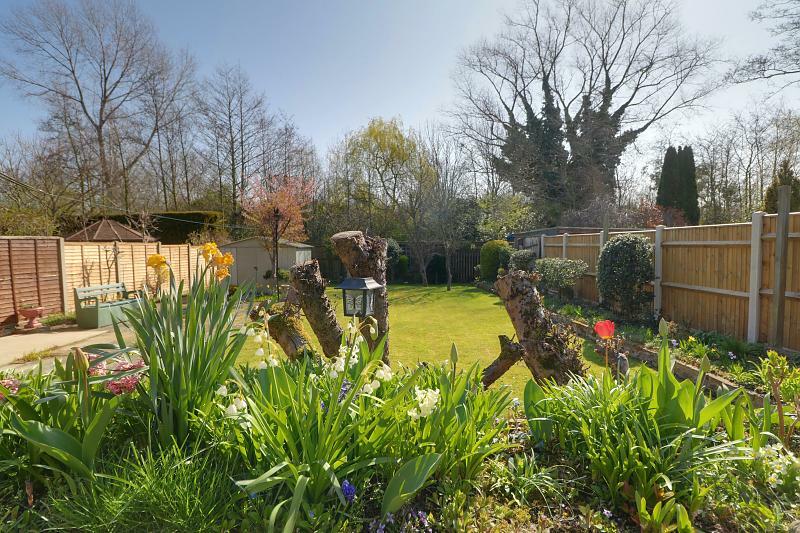 It provides good sized living accommodation which includes a separate lounge and dining room, Oak fitted kitchen, 2 double bedrooms and bathroom. 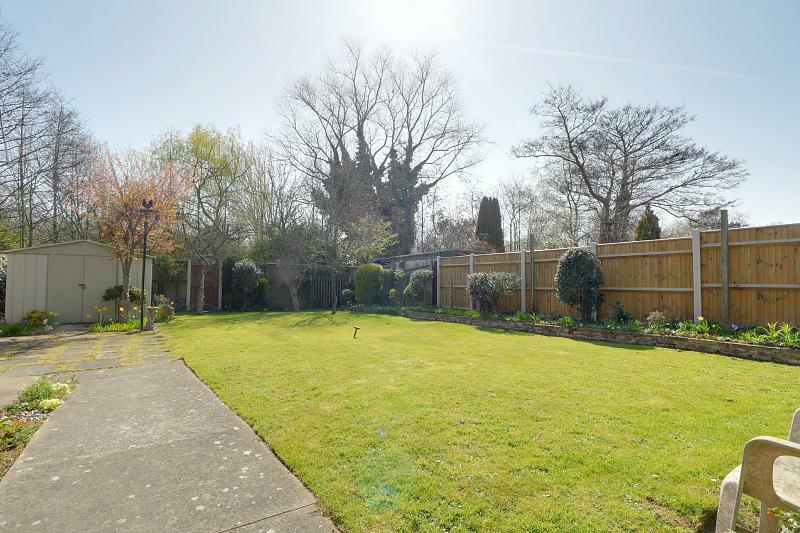 Outside there is a beautiful secluded rear garden backing onto woodland which is complemented by ample off road parking and large oversized brick garage. Sealed unit double glazed entrance door, access to insulated roof void, built in linen cupboard telephone point, radiator, laminate flooring. 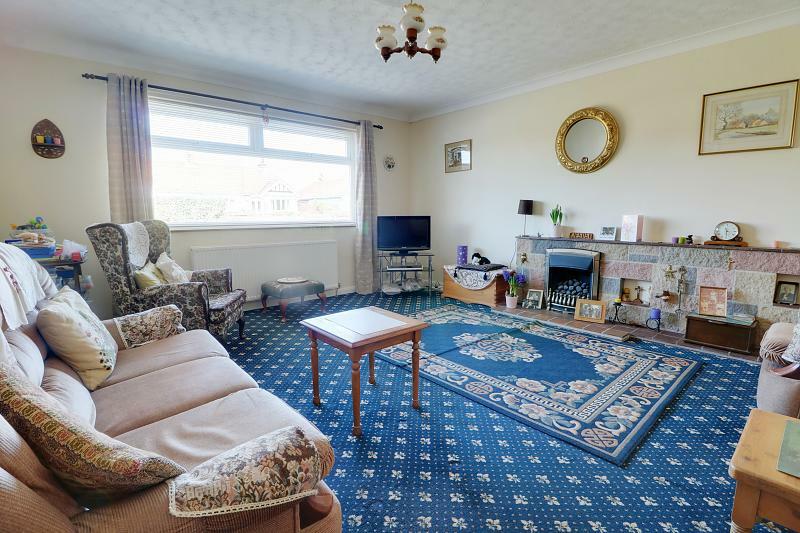 Large sealed unit double glazed window, carpet, radiator, power points, gas fire set in stone fireplace with quarry tiled hearth and mantel, tv point. 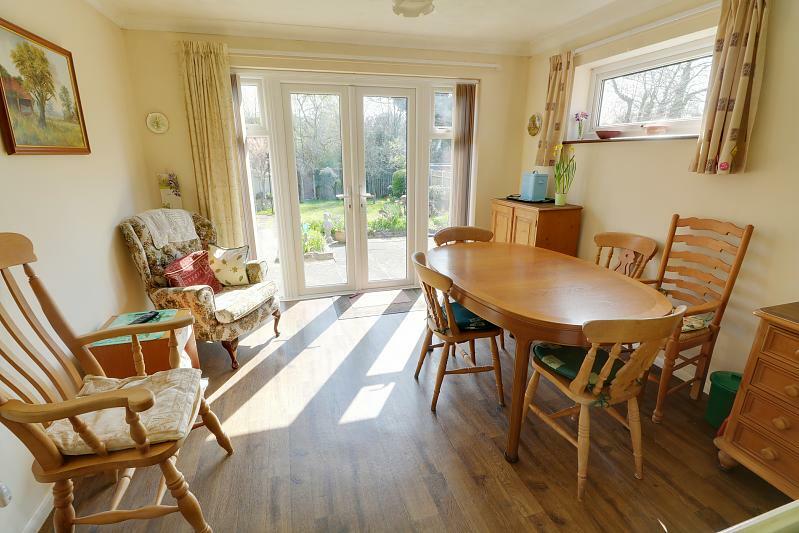 Floor to ceiling sealed unit double glazed French doors with matching windows overlooking rear garden, power points, radiator, wood effect vinyl flooring, television point, recessed lobby with sealed unit double glazed door. 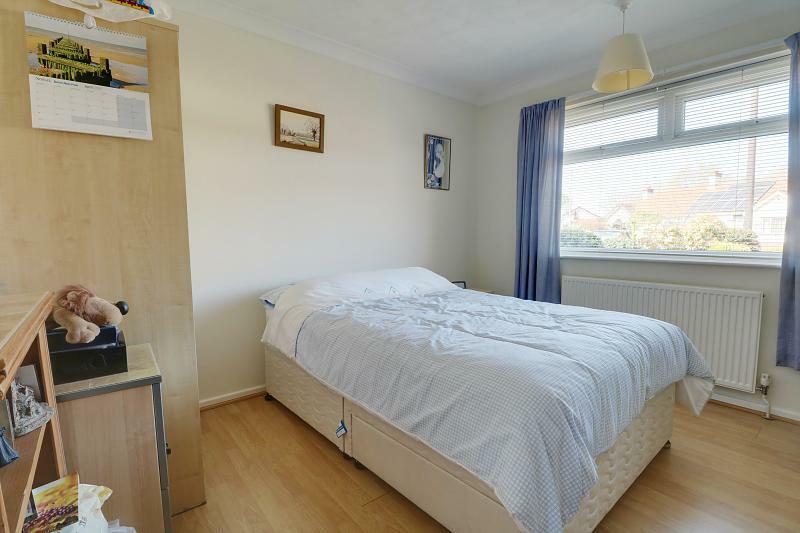 Sealed unit double glazed window, laminate flooring, power points, radiator. 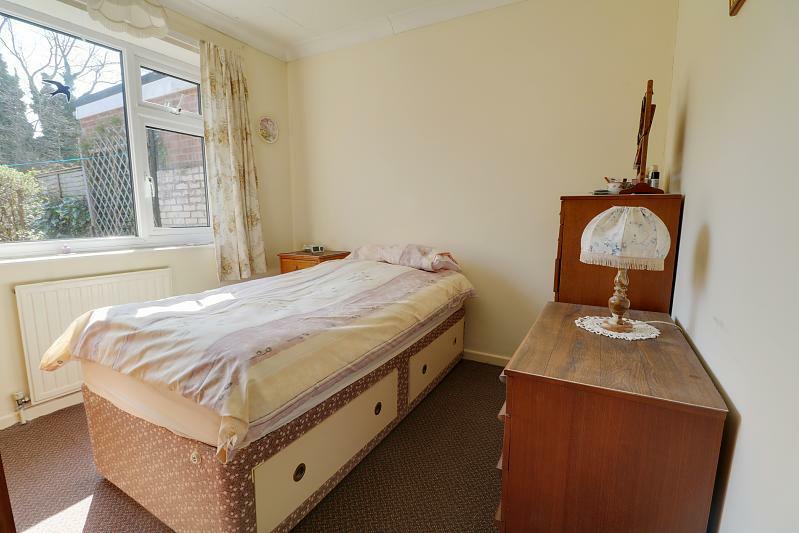 Large sealed unit double glazed window overlooking rear garden, carpet, radiator, power points. 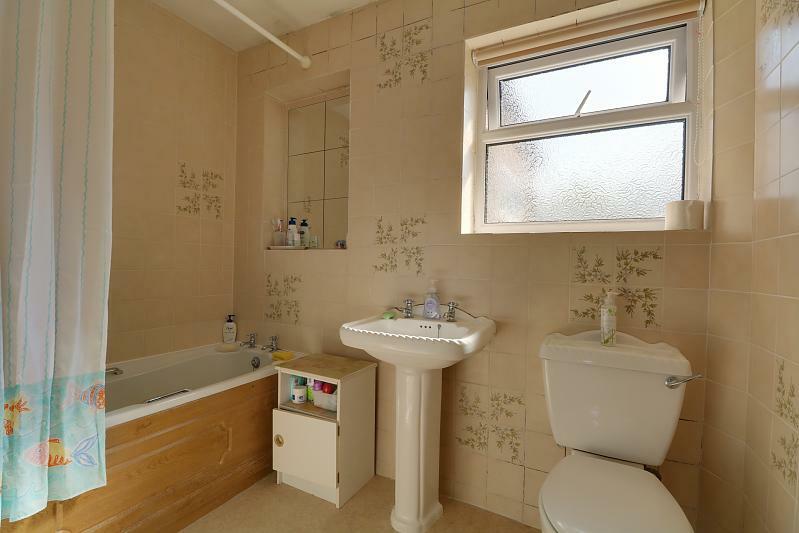 White suite comprising panelled bath with shower over, pedestal wash basin, low level wc, sealed unit double glazed window, radiator, fully tiled walls, vinyl floor. 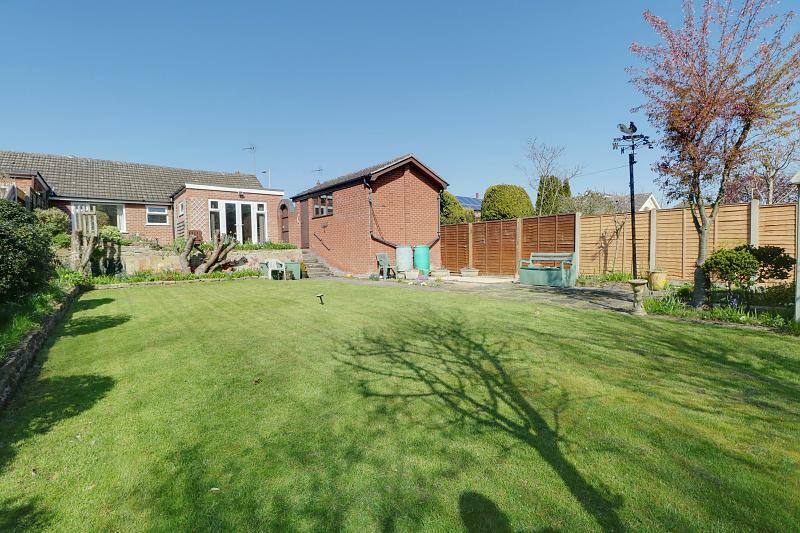 Good sized fully enclosed front garden with well stocked flower and shrub borders, central shingled area, low brick wall, long concrete drive and double wrought iron gates extend to large over sized garage. Gates opens into beautiful large secluded rear garden with raised patio, with beds ornamental pond, steps lead down to lawned area with inset fruit trees, well stocked flower and shrub borders, additional concreted seating area, large tin shed, high panel fence screen with &apos;secret&apos; gate opening into woodland to rear. 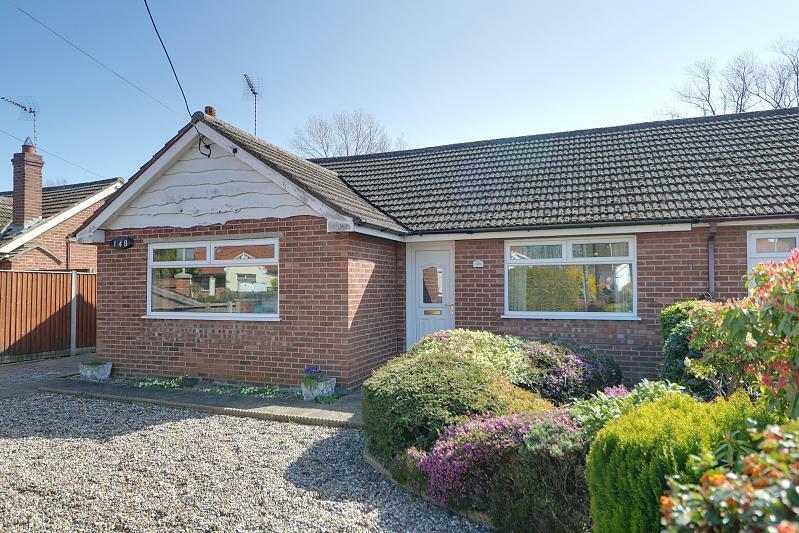 Brick and pitched tiled roof, light power, up and over door, eaves storage space, personal door.